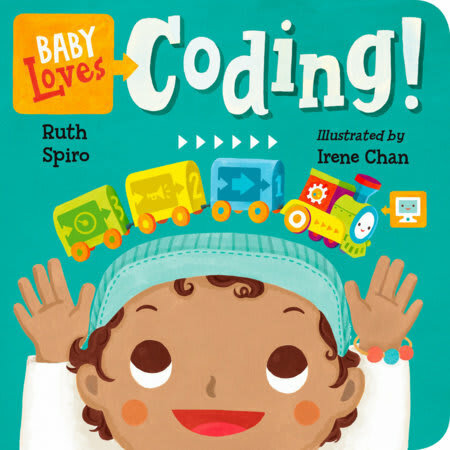 Baby Loves Coding: because you're never too young to start your career in computer science. 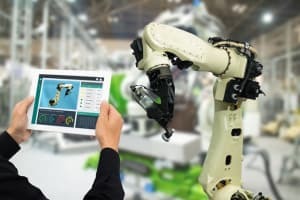 When you look at what falls under STEM education—science, technology, engineering and math—there’s a perfectly understandable tendency to focus on things that will appeal to kids: rockets, outer space, animals or robots. 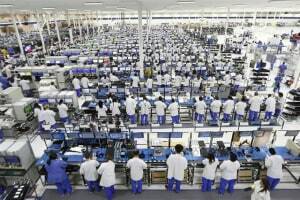 But those are the obvious ones, and there’s a huge part of engineering that tends to be overlooked: manufacturing. And hey, do you know what else kids like? What follows is a way to introduce young STEM minds to the wonderful world of cutting tools, without the risk of accidental laceration. It’s also a useful resource for any grown-up engineers who might want to brush up on their cutting tool terminology. Obviously, there’s far more to cutting tools than 26 letters can describe, but this is merely a starting point. Stay tuned for more in-depth coverage. 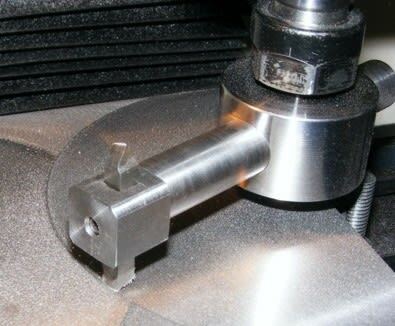 Approach angle for a single-point tool on a lathe. The approach angle is the angle between a plane perpendicular to the cutter axis and a plane tangent to the surface of revolution of the cutting edges. It’s typically 90° for end and shoulder mills, and 45°, 60° or 70° for face milling. Also known as the “lead angle” under the ANSI Standard. A button cutter is a face mill that uses round inserts, which resemble buttons—hence the name. 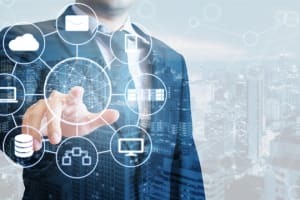 Round inserts spread stresses from cutting forces over a larger area than other shapes, but they also generate higher axial forces, which transfer to the workpiece. 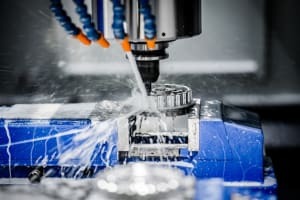 Although button cutters have seen diminished use with the advancement of high-speed geometry, they remain useful in certain applications, such as those involving workpieces that have been recently heat treated. 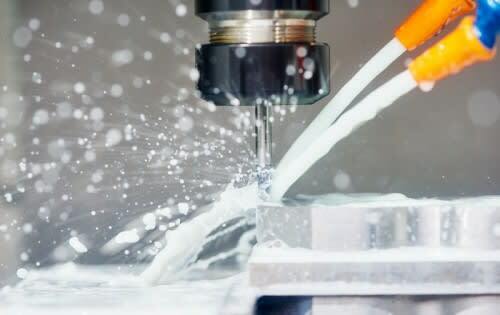 In addition to cooling the workpiece and tool during cutting operations, cutting fluids enhance workpiece machinability, extend tool life and flush out chips and other machining debris. 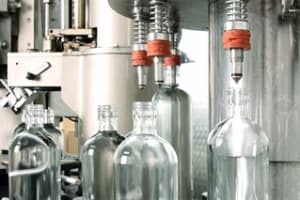 The three basic types of cutting fluids are straight oils (which contain no water), soluble oils (suspensions of oil in water) and synthetic fluids (which contain no oil). As the name implies, dovetail cutters have a trapezoidal shape, like a dove’s tail. The dovetail’s shape makes it well-suited to undercutting and deburring applications. Dovetails are typically used for cutting O-ring grooves for fluid or pressure devices, as well as industrial slides. Those intended for O-rings are designed to cut a groove that is wider at the bottom than the top, which helps to hold the O-ring in place. 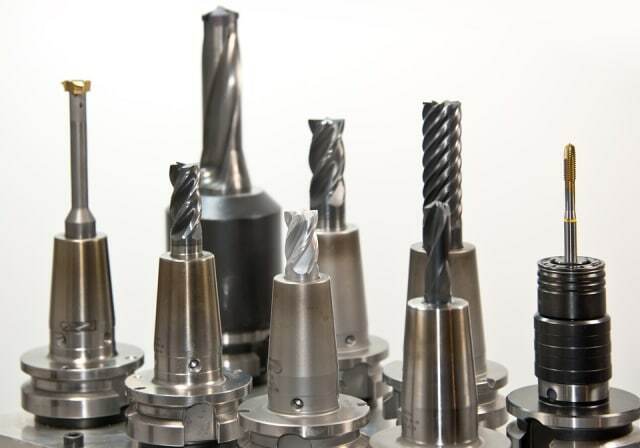 Distinguished from drill bits—which can only cut in the axial direction—end mills can typically cut in all directions, though some cannot cut axially. 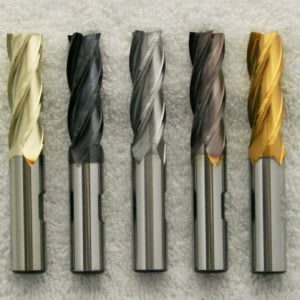 End mills come in a variety of shapes, such as single- or double-end, T-slot and cup-end. Their number of flutes (the grooves that promote fluid application and chip removal) also varies. End mills are most commonly used in facing operations, but they can also be used for plunging, profile milling and tracer milling. 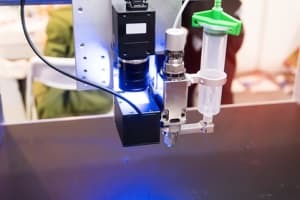 Designed for plane surfacing, a fly cutter consists of a body and one or more inserts, attached such that the tool bit(s) makes broad, shallow facing cuts as the body rotates. Fly cutters with two inserts are colloquially known as double fly cutters or double end fly cutters. 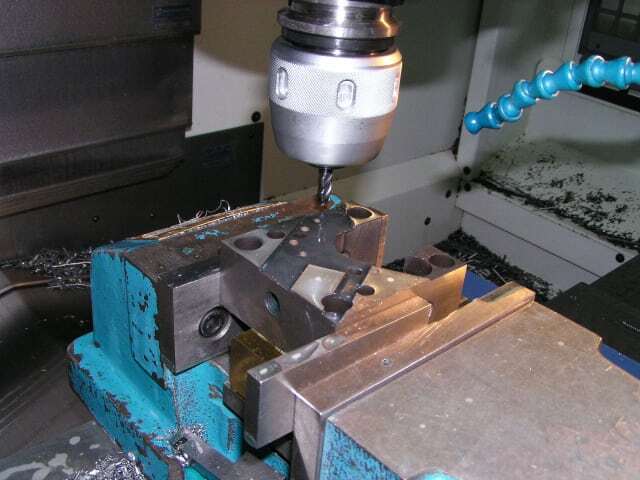 Though face mills are generally preferable for most applications in terms of rigidity and depth-of-cut, fly cutters are much less expensive, and can be useful when facing off large workpieces, such as die/mold blocks. 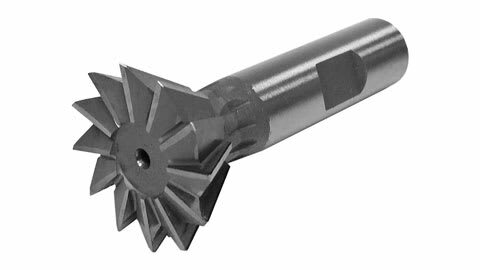 A gundrill is a self-guided tool used to produce deep holes (depth-to-diameter ratios of >300:1 are possible) with good accuracy and fine surface finish. 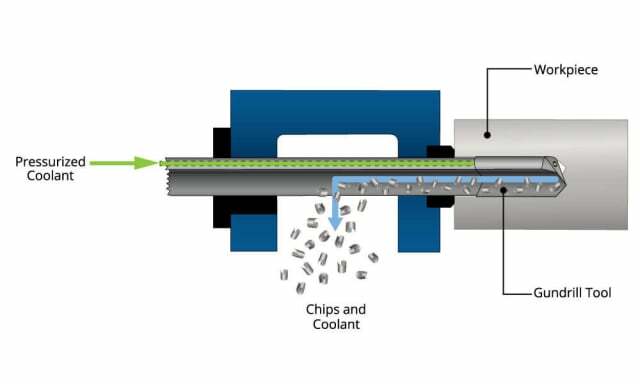 Gundrills have hollow bodies and use extended coolant passages to deliver coolant to the tool or workpiece at high pressure. Though gun barrels are the obvious application, gundrills are also used in the die/mold industry and for making engine parts, such as crankcases and cylinder heads. The hard turning process involves the single-point cutting of a workpiece that has a hardness value of 45 HRC or higher. 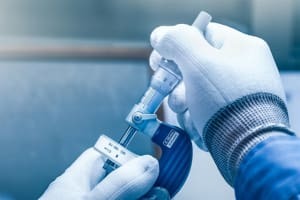 Historically, such workpieces required grinding in order to be finished, but the advent of new tool materials and turning centers with greater rigidity and accuracy has led finish hard turning as a viable alternative to grinding for finishing operations. 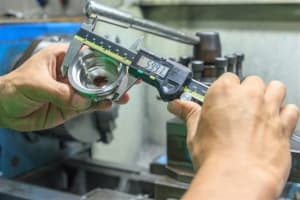 However, part size remains a limiting factor with the length-to-diameter (L/D) ratio of 4:1 and 8:1 as the upper limits for unsupported and supported workpieces, respectively. IPM is a unit of measurement expressing the velocity at which the cutting tool is advanced against the workpiece, i.e., the feed rate. 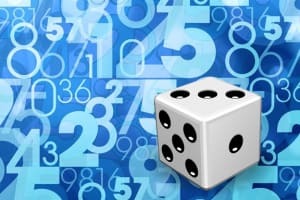 It’s calculated by the formula above, where: FR = the feed rate, RPM = the calculated speed for the cutter, T = the number of teeth on the cutter; and CL = the chip load or feed per tooth. This formula does not apply to turning operations, where the feed rate is given as feed per revolution. 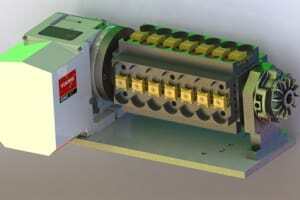 A jig is a type of tooling used to secure the workpiece and/or guide the cutting tool via a bushing. Jigs can also assist in assembly by providing alignments and adjustments. 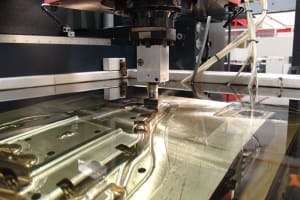 Prior to the widespread adoption of computer numerical control (CNC), jig boring was the primary approach to high-precision machining, encompassing processes such as centering, drilling, boring, counterboring and reaming. The channel left after the pass of a blade or tool is called the kerf. It originally described the amount of wood removed by the cut of a saw, which is wider than the blade itself because the teeth are angled. 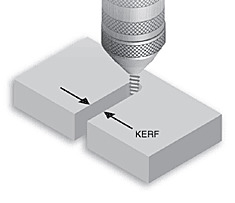 In machining, kerf depends on several factors, including the width and angle of the tool, as well as the amount of material removed from the sides of the cut. 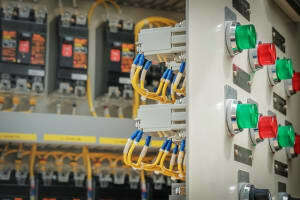 Most CNCs can automatically offset the tool path to compensate for kerf, which is why the kerf value is often referred to as the kerf offset. 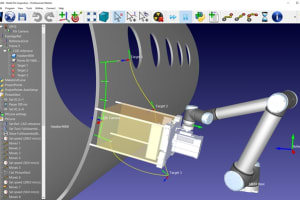 ‘Look-ahead’ refers to a feature of modern CNCs in which an algorithm evaluates data blocks in advance of the cutting tool’s location in order to prevent collisions by adjusting machining parameters automatically. 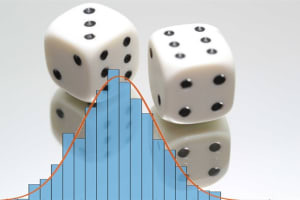 The idea is to reduce the risk that the tool overshoots its projected path. How far ahead the program has to look depends on workpiece profile and feed rate. 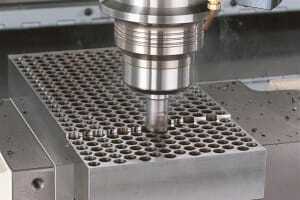 Broadly speaking, a metal or alloy’s machinability refers to the ease with which it can be cut. 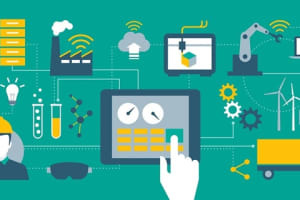 There are numerous factors affecting machinability and many ways to quantify it, such as by tool life, power consumption or surface finish. 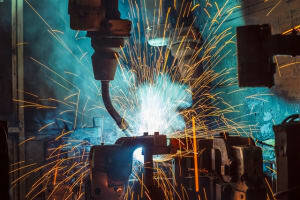 The American Iron and Steel Institute (AISI) uses AISI 1212 free-machining steel as the basis for a percentage system, whereby materials more difficult than AISI 1212 steel are rated below 100 percent, and materials that are easier to machine are rated above 100 percent. 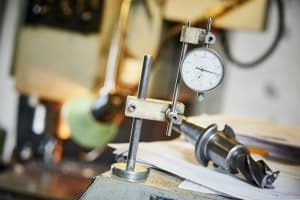 The nose radius of a cutting tool determines the strength of the tool tip and, along with feed rate, affects part finish. Because the tip is subjected to severe cutting forces, cutting tool designers include a small bevel, known as the nose radius. 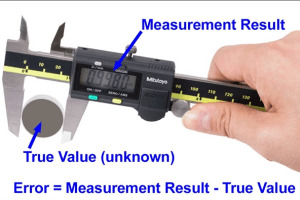 Formally, the nose radius is defined as the radius value at the tip of the cutting tool, measured on the reference plane (πR). 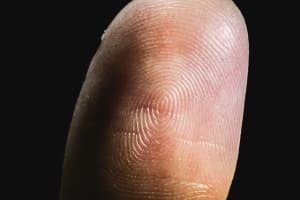 The radius value is typically 0.6 – 1.5mm on single point turning tools, but it can be considerably smaller for precision tools. 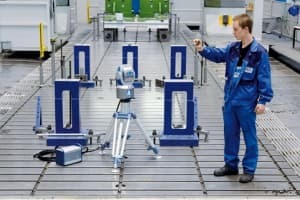 An overshoot occurs when the cutting tool deviates from its nominal path as a result of momentum carried over from the preceding step, such as a rapid traverse across a long distance before beginning a cut. 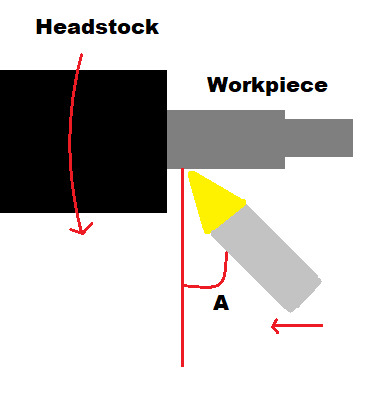 Overshooting is contrasted with undershooting, which occurs when a machining centre rounds off the corners of its nominal path because of servo lag or backlash. 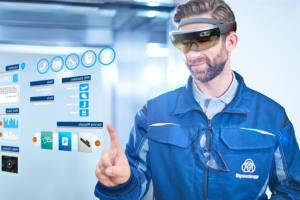 Both issues can be avoided with look-ahead software. PVD is a tool-coating method used to improve hardness and resistance to oxidation and wear. 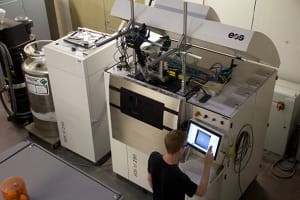 In contrast to chemical vapor deposition (CVD), which is performed at temperatures in excess of 1,000 C, PVD processes operate at lower temperatures, typically 500 C. PVD coatings are harder and more corrosion resistant than coatings applied by electroplating, and the PVD process itself is highly flexible, able to utilize virtually any coating material on an equally diverse selection of substrates. 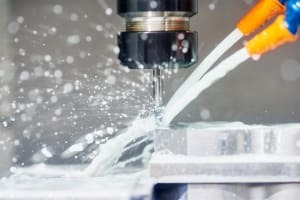 A popular feature on lathes and turning centers, quick-change tooling can significantly reduce machine downtime during tool changes. Normally, tools are clamped into toolholders and tightened, taking care to seat the tool properly and account for offsets. 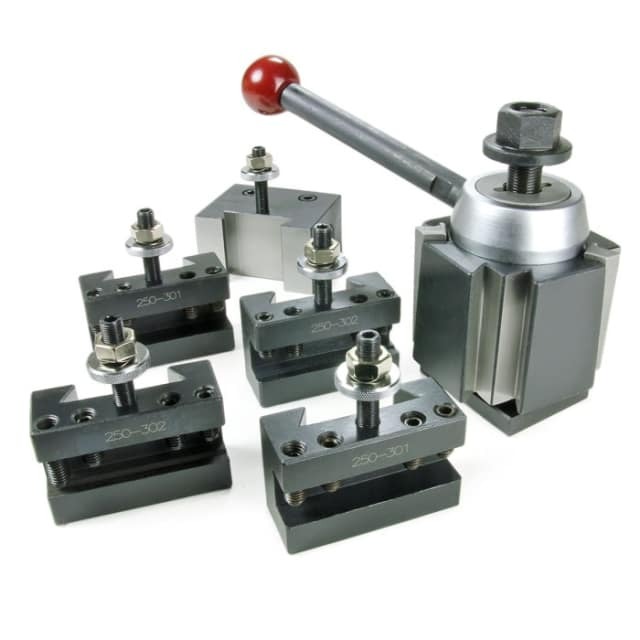 Quick-change tooling introduces interchangeable cutting units that are inserted into standardized locking units, which can remain on the machine indefinitely. 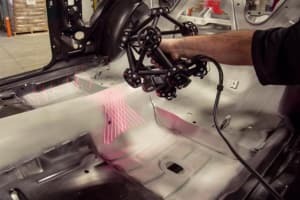 The interface between the units is such that the cutting unit will only sit in one position in the locking unit, ensuring consistently precise cutting. Schematic showing positive (left) and negative (right) rake angles. 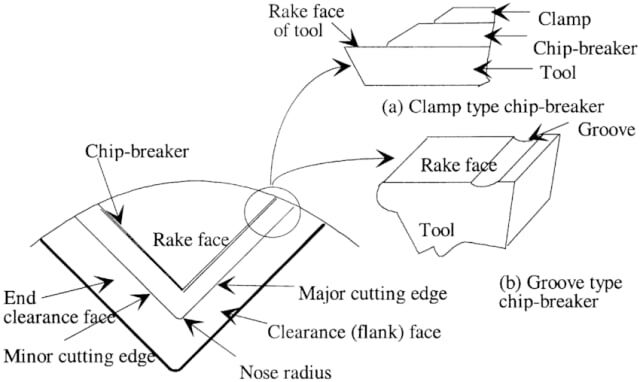 The rake angle is the angle of the cutting face relative to the workpiece. 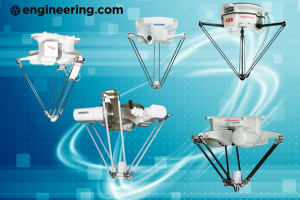 There are three types of rake angle: positive, negative and neutral. A tool has a neutral rake if its face lies in a plane through the axis of the workpiece. 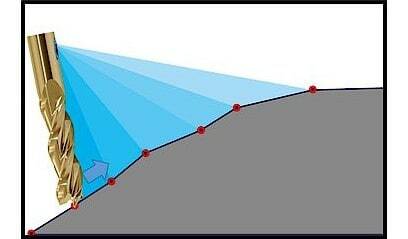 If the angle of the cutting edge is more acute than when the rake angle is neutral, then tool has positive rake. If the angle of the cutting edge is less acute than when the rake angle is neutral, then the rake is negative. The best rake angle varies, depending on the tool and workpiece materials, depth of cut, cutting speed, machine and setup. 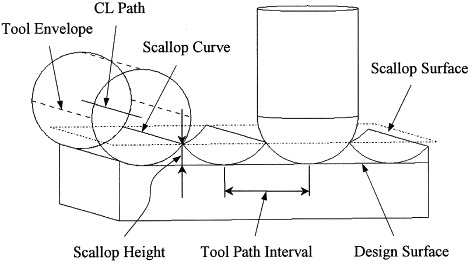 In operations utilizing end mills, small waves in the material called scallops can be generated between adjacent cuts. 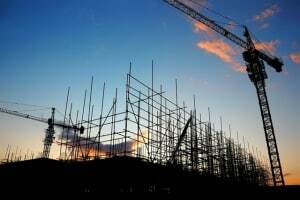 This can be caused by deflection, an unbalanced tool or unsecured workpiece, or machine wear. 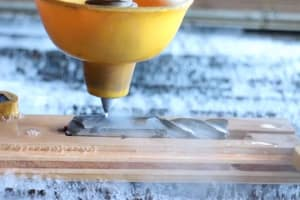 On horizontal surfaces, scalloping is typically the result of using a ball end mill and can be minimized by reducing step-over distance relative to tool diameter. Scallops on vertical surfaces can be removed via profiling. One of, it not the most common machining operation, threading is the process of creating external or internal screw threads. 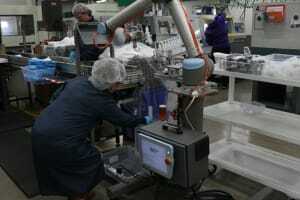 Methods of threading include single-point threading on lathes or turning centers, and thread milling via CNC machine. 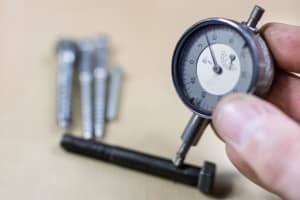 Certain specifications, such as thread height and material are critical to determining overall thread strength. 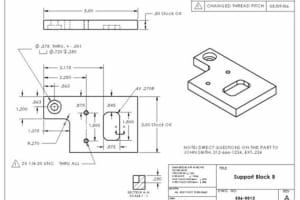 Threads are distinguished in terms of specified tolerances and/or allowances. Parts made with milling (above) and turning (below), with and without undercuts. In the most general terms, an undercut refers to a recessed surface on a workpiece, but its referents depend on the production process. 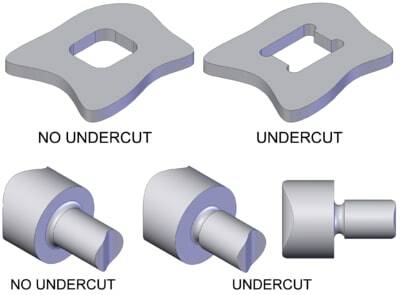 Undercuts on turned parts are also known as “necks” or “relief grooves” and are often used at the end of a shaft or screw to provide tool clearance. 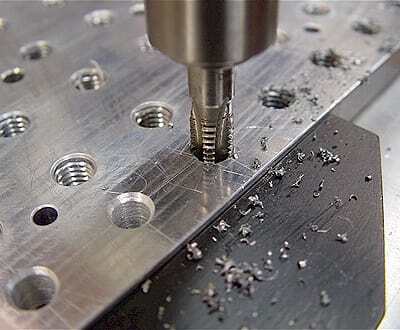 In milling, corners may be undercut to remove the radius left by the cutter. 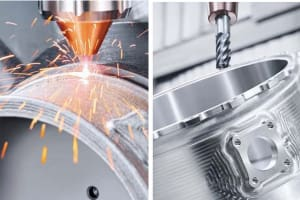 More commonly known as “chatter,” vibration occurring as the result of the interactions between the machine, cutting tool and workpiece is problematic because it tends to be self-sustaining. Until the underlying problem is corrected, this vibration can produce lines or grooves on the workpiece in addition to reducing tool life. 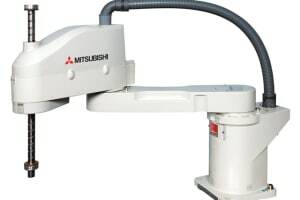 The primary methods of minimizing machine vibration include enhancing machine, tool and workpiece rigidity, adjusting the cutting angles, spindle speed and number of teeth, and utilizing vibration-dampening technology. 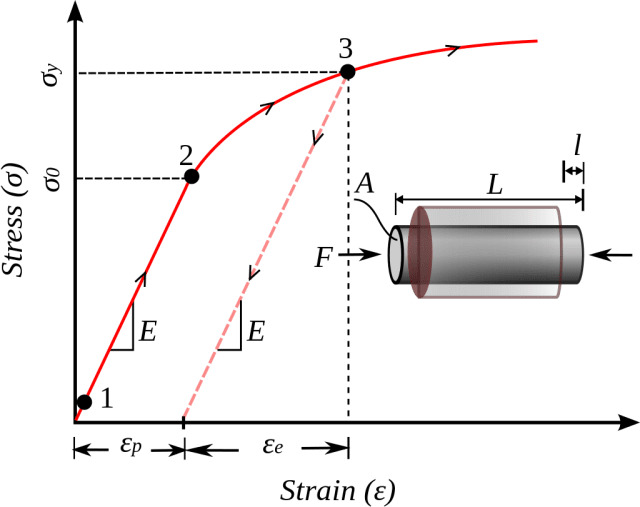 Phenomenological uniaxial stress–strain curve showing typical work hardening plastic behavior of materials in uniaxial compression. For work hardening materials the yield stress increases with increasing plastic deformation. The strain can be decomposed into recoverable elastic strain (εe) and an inelastic strain (εp). 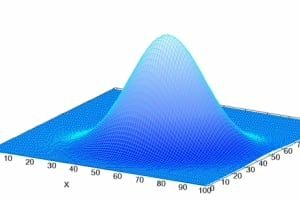 The stress at initial yield is σ0. 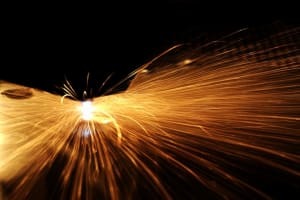 Also known as “strain hardening,” work hardening is the strengthening of metal as a result of plastic deformation. 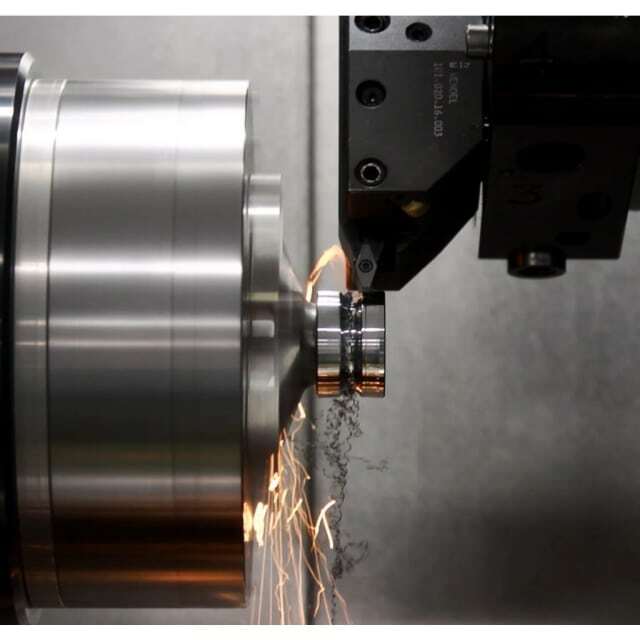 Work hardening is an inevitable part of machining, stemming from the stresses and strains to which a workpiece is subjected. 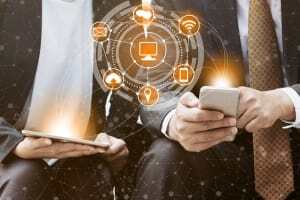 It is especially pronounced in soft, low-carbon steels and alloys containing nickel and manganese, as well as nonmagnetic stainless steel, Inconel and Monel. 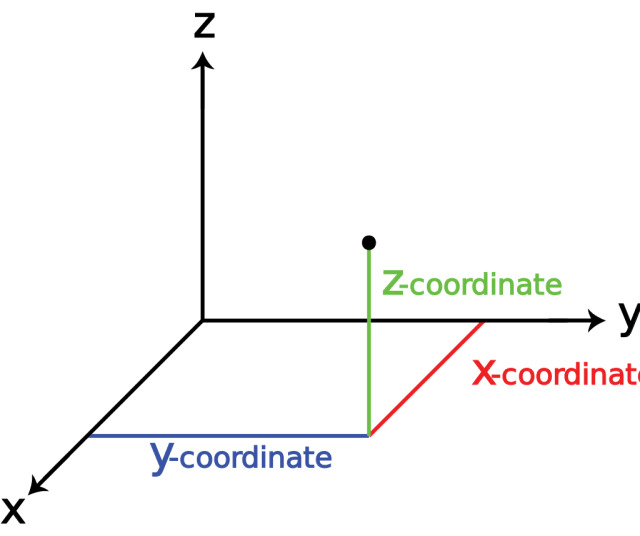 Taken together, the X-, Y-, and Z-axes describe the three directions of motion for a CNC machine. These can be linear or, in the case of lathes and turning centers, circular. 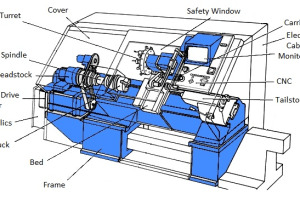 In milling machines, the three axes are used to define points, lines and surfaces on the workpiece’s three-dimensional geometry. 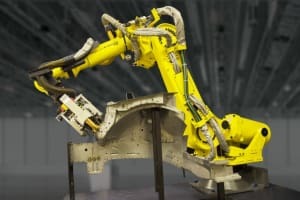 In addition to the three conventional linear axes, some machine tools also make use of a fourth and fifth axis, each of which rotates around one of the other linear axes. 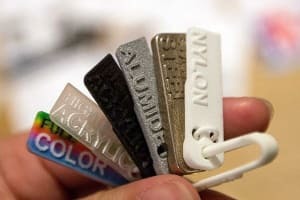 Well, there you have it: the ABCs of cutting tools. If you’re an exhausted parent who turned to this article in the vain hope of lulling your child to sleep, you have my sympathies. 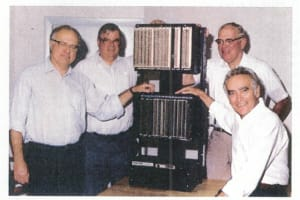 But think of it this way: if your kid managed to make it through the whole thing, there’s a good chance they picked up a little STEM-related knowledge along the way. Hopefully you did, too. Let us know if you’d like a hardcopy.